Veterinary Application in Companion animals. 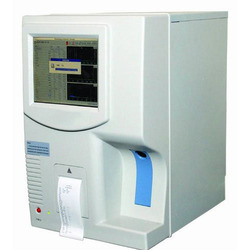 The barcoded reagents and sample identification minimises programming time. Bar coded sample tubes provides positive sample identification and minimises risk of biological harzards. - Airtight Static Matrix Optical System (ASMOS) rear spectrophotometry realizing synchronous double wavelength testing. - Highly polished sample probe. With liquid level detection. probe depth adjustment automatically and collision protection. - Alkaline solution washing to prevent carryover thoroughly. 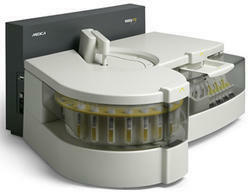 Ideal Choice for: Small and medium laboratory.